Good? Yeah! : Regan Gentry. 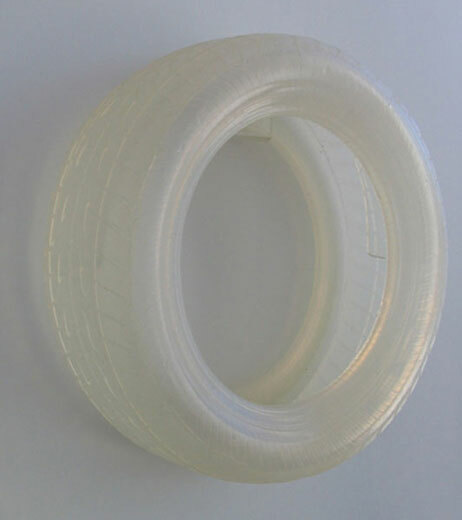 Replica 1:1 scale low-profile racing tyre made in opaque silicone. Three tyres at 400 x 150mm. Norsewear Art Award. Hastings Exhibition Centre; Whitespace Gallery, Auckland; Arthouse, Christchurch. Good? Yeah! 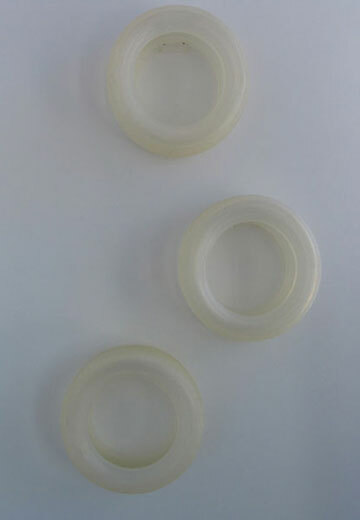 - detail - silicone.